“Damnit,” I thought, as this landed on my doorstep. I am to dance what Ricky Gervais is to sensitivity. I just don’t care for it. But it turns out, that luring me in with my Achilles heel (highscore challenges and Trophies) was the perfect trick at convincing me to give it a go. So, curtains stapled shut, cat blindfolded, hidden cameras scoured for, sofa moved, controller charged: I entered the madness. A few hours later, a horrible truth dawned. I’m ashamed to say it, but this is a great game. The PS3 has been in need of something to go against the dance games on the other consoles and this could be a contender, especially given the bargain price tag. The track list is accommodating for varied tastes. Even tracks that I wouldn’t usually listen to proved to be enjoyable challenges. Ellie Goulding, Iggy Pop, LMFAO, Barry White, Nicole Scherzinger, The Chemical Brothers, Jessie J and Republica are amongst the 40 videos on offer, here’s a link to the full list. They’re all unlocked from the start too. DLC packs are available, although they’re a bit pricey for a measly four songs. Hopefully some individual tracks will become available soon. So, how does it play? The game only supports one controller per player and you have to hold it in your right hand. Being a lefty, I thought this would be a problem, but it wasn’t. Imitation is the way to play. There’s a video of a pre-recorded dancer holding a Move controller in the middle of the screen. Just do as they do and you’ll get the hang of it. Next to the dancer are some guideline illustrations scrolling along. Unfortunately, they’re unclear and for huge sections of the song, they don’t even show up. Rely on them and you’ll have pathetic zero star scores. Mirror the dancer instead and you’ll be fine, it’s reasonably forgiving even if you’re slightly behind the beat. When you’ve tried a song a few times though you’ll start to memorize the patterns and be able to keep time with them. Apart from the odd side step, you’re not required to move your feet. Running on the spot motions can be ignored as long as your hands are working. The camera only tracks the controller, so you could try to play one handed. However, using your other hand, as shown by the on-screen dancer, will greatly help with your rhythm and getting some muscle memory going. Sideways jabs, air guitar, drumming, windmill arm swinging, sudden flicks and other pop/R&B star copying moves (sorry to get all technical there) are all in and are recognised very impressively. Drawn out moves need to be hit from the beginning or you miss scoring for the whole motion. Think of it like fluffing a long note on Rock Band. One regular problem I noticed was when I’d have to keep the controller in the same spot for a while, such as placing the orb on my belt buckle during the Jessie J track. Sometimes I’d score points, sometimes nothing, despite doing the same actions. It messes up some combos but it’s not something that’s going to ruin a party. 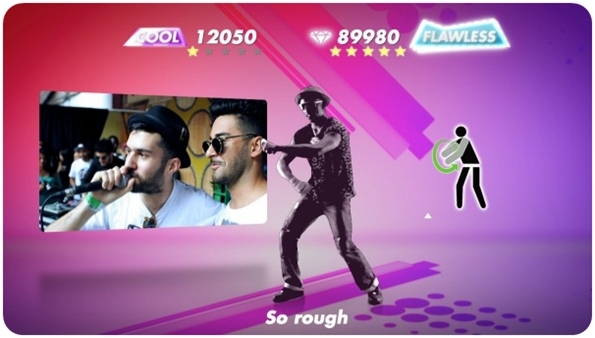 Several difficulty levels are available for each song, along with a full or short version. Higher difficulties feel faster and contain extra moves or even different routines. Seeing as you can’t fail a song (saving much embarrassment at parties), it’s worth exploring the higher difficulties, just for the variety on offer. Party mode supports two players playing together, so you’ll need to clear a bit of extra space. They can play co-op or against each other in a dance off. For larger parties the game supports 20 players to take turns in pairs rather than a sweaty heaving crowd. That’ll be Moshpit Party next then. Microphone support is available for karaoke fans, although singing and dancing at the same time can be a bit much unless you know the words off by heart. There’s nothing stopping pairs teaming up and taking one of each though. 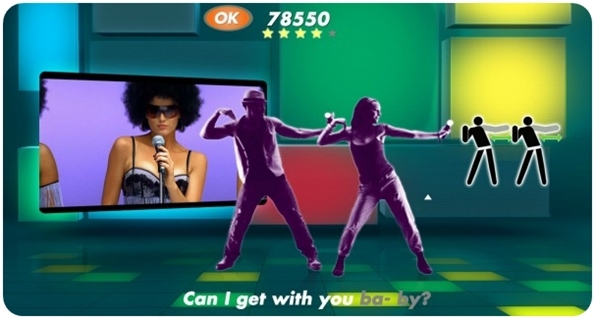 A Create mode lets you record you own demented dance routines. I thought this would be a throwaway addition, but it’s actually very good. As your chosen track plays, you just make up your own routines as you please, even adding moves that you haven’t seen in the regular side of the game. I tried new motions like painting a figure of eight and was pleased to see it registered. As long as you don’t go too fast or overuse depth moves (towards the screen) too much, you can record almost anything. 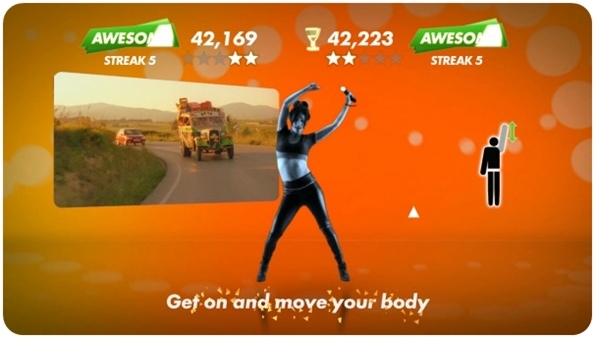 While recording you’ll see yourself on-screen, showing you what the video will look like when you play it later, with you replacing the dancer. Recording a video at parties then playing to get the highest score is something that’ll extend the life of the game for ages. 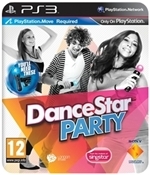 One of the best party games of the year and a title that could give the PlayStation Move a real boost. With a nice balance of accessibility and challenge available it’s a solid crowd pleaser and the excellent create mode is ideal for dance off shame material. real glimpse Black – Berry 10 device at the Blackberry London.